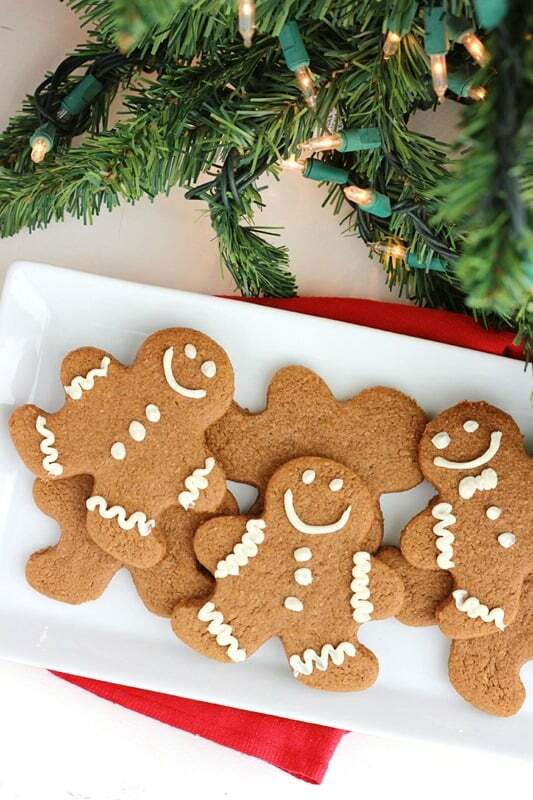 Gingerbread Cookies. Crunchy on the outside – soft and chewy in the center! 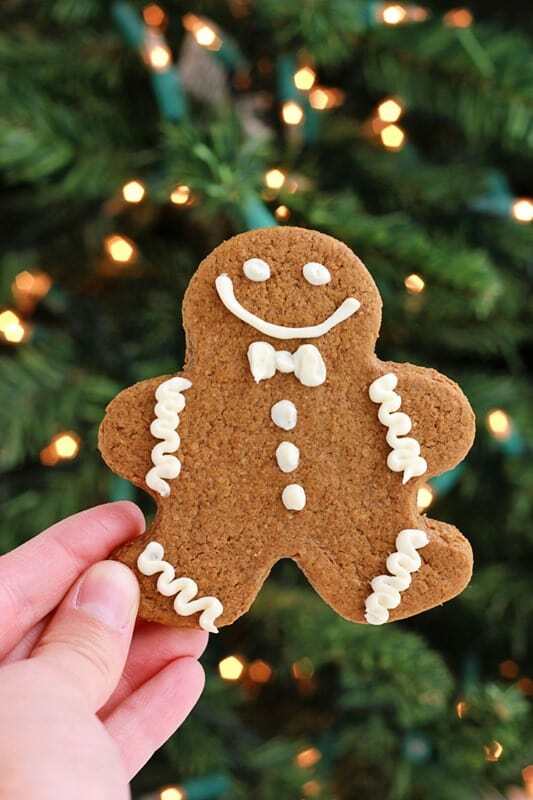 These Christmas Cookies are the best way to add holiday flavor to your dessert tray! 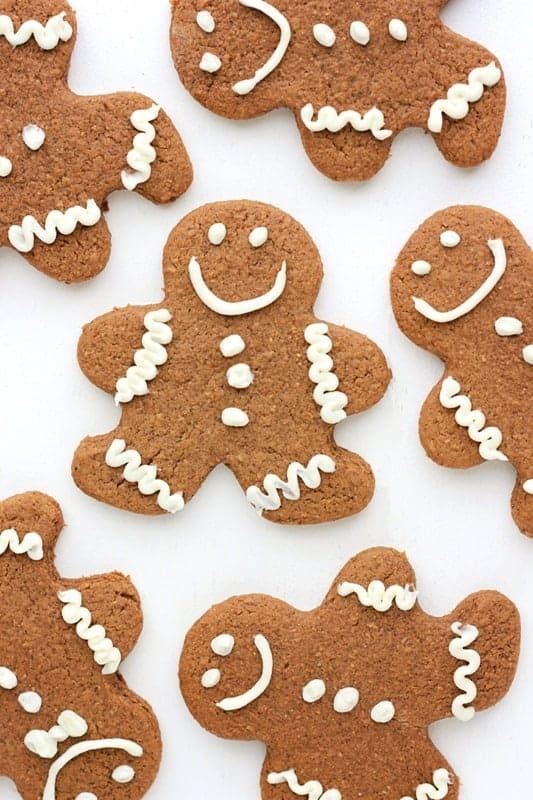 These gingerbread cookies are crunchy on the exterior but have a wonderful soft and chewy center. Both high on my list for the perfect cookie. Bonus? I love the smell that fills our home while these are in the oven. The combination of all of those great spices is one that you just ca not replicate any other way. Once you have let your cookies cool it is time for frosting! I am not super great at this part but I have found that it does not matter how perfect they are. They seem to disappear quick enough that no one will notice their mismatched eyes or the crazy buttons. Like this recipe? You will love my Gingerbread Pancakes, Gingerbread Latte, and Gingerbread Biscotti! Add the flours, salt, baking powder, baking soda, cinnamon, cloves, ginger, and nutmeg in a medium sized bowl. Whisk until fully combined and set aside. 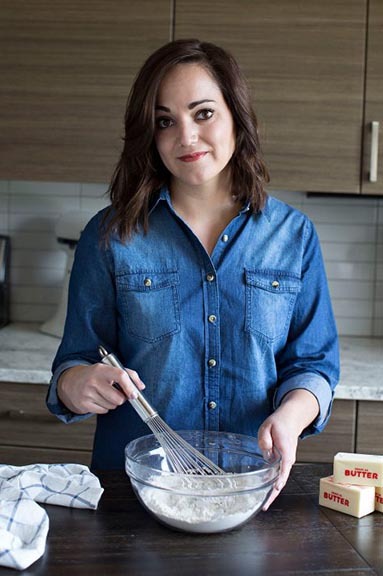 Cream the butter with the sugar in the bowl of an electric mixer. Stir in the molasses and egg. Slowly add the dry ingredients and mix until the dough pulls from the side. Divide into two equal portions, wrap in plastic wrap, and place in the refrigerator for at least one hour. Preheat your oven to 350 degrees. Line two baking trays with parchment or a silicone baking mat. Roll your dough 1/4 inch thick and cut with desired cookie cutter. Bake 10-12 minutes or until the edges start to brown.